A8 (E52) exit Merklingen, to Laichingen, turn right on B28 west to Bad Urach. A8 (E52) exit Wendlingen, B297 to Nütingen turn left on B313 to Metzingen, buy clothes at Hugo Boss, turn left on B28 to Bad Urach. 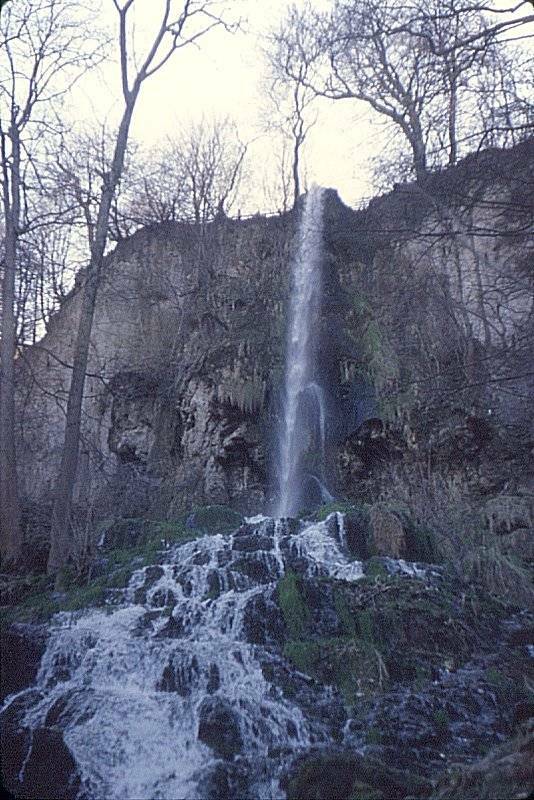 Opposite the turnoff to the Bath turn off to Güterstein, parking lot Maisental, 1.5km walk to the waterfall. Address: TouristInfo, Bei den Thermen 4, (Haus des Gastes), 72574 Bad Urach, Tel: +49-7125-9432-0. 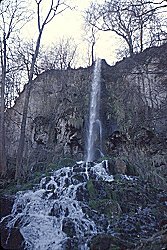 Search Google for "Uracher Wasserfall"